Thinking About Theme: What About What It’s About? A while ago as I was visiting a lower school, a bulletin board caught my eye. A second grade teacher had decided to tackle theme in a unit of study on fairy tales, and the bulletin board displayed her students’ reader responses to the theme of Hansel and Gretel. Intrigued, I stopped to take a look and quickly noticed that in paper after paper the students wrote that the theme of Hansel and Gretel was good versus evil. Hmm, I thought. How did the students arrive at that idea? Surely not on their own. And what did that mean the students took away about what a theme was, how a reader constructs it, and why thinking about theme matters in the first place? Like Hansel and Gretel lost in the woods, we, as teachers, can get lost in a tangle of terms when it comes to theme. 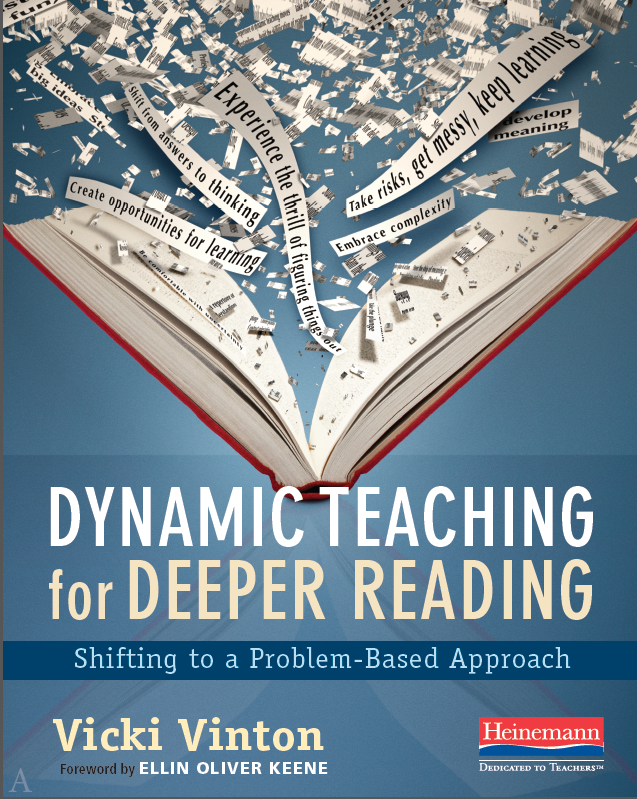 Lesson, moral, author’s message or purpose, big idea, main idea, theme: Frequently when we talk about theme, uncertainty arises, with different teachers having different ideas about what it is and how it’s connected—or not—to those other terms. 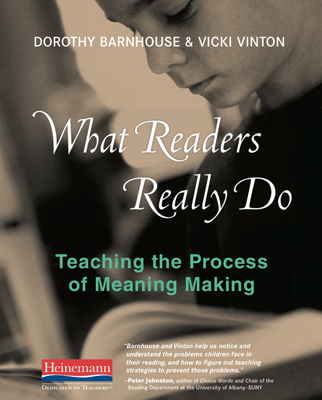 And amid that uncertainly we almost never think of what a reader actually gains—beyond, perhaps, an academic skill—by thinking about theme. As this teacher had, we often think of theme as a one-word (or as above, a three-word) abstraction, such as love, friendship, bravery, kindness. The problem is that even a story as simple as Hansel and Gretel isn’t about just one thing. It’s also about jealousy, loyalty, greed, resourcefulness, abandonment, courage, and while we could think about which of these the story is mostly about, as standardized tests tend to do, I don’t really see what a reader gains by reducing a complex story to a single abstraction. It also invites what we could call ‘Pin the Tail on the Donkey’ thinking, especially in classrooms where students are given a list of these abstract words that they’re then asked to ‘pin’ on or match to a text. “We might better understand theme if we ask the question: What about what it’s about? What does the story have to say about the idea or abstraction that seems to be contained in it? What attitudes or judgments does it imply? Above all, how do the elements of fiction contribute to our experience of those ideas and attitudes in the story? Applying Burroway’s notion to the second graders reading fairy tales would mean inviting them to consider what the story of Hansel and Gretel specifically has to say about good versus evil. And to do this, we’d want to ask students to think about not only who was good and evil, but why they were and how they were and how one engaged with the other, which would almost inevitably wind up circling some of the other ideas in the story, like cleverness and greed. For students who are all too ready to pin a saying on a story, we can push them in a similar way, as I did recently with a fourth grade ICT class that, much to their teachers’ dismay, had summed up Robert Munsch‘s fractured fairy tale The Paper Bag Princess with the maxim, “Never judge a book by its cover.” The teachers had purposely chosen a book that was easy enough for all their students to access in order to focus on the harder work of thinking about theme. It’s another example of the ‘Simple Text, Complex Task‘ approach I offered in last week’s post. But when left to their own devices and ideas about theme, the students’ thinking remained simple as well, missing the whole feminist angle. To help the students dig deeper in the text and give them a different vision of how readers engage and think about theme, I gathered the children in the meeting area where I put a piece of paper under the document camera and wrote down “Never judge a book by its cover.” I then explained that while you could, indeed, say that this was a theme of The Paper Bag Princess, there were lots and lots of stories this was true for. So our job as readers was to think more deeply about what in particular this book might be saying about judging books by their cover. And we’d do that by going back to the story to think about who was judging what, why they were, how they were, and why they shouldn’t have in a way that would get us closer to the author’s attitude and judgments. As you can see above, I drew boxes around the words judge, book and cover, and I asked the students to turn and talk about what specific form those three words took in The Paper Bag Princess. And as you’ll see by following the arrows that led down from each of the words, the thinking became much more interesting. It ultimately allowed the class to develop three new thematic statements (which you’ll find numbered on the upper right) that captured the feminist twist of the story. And while these students might need additional support in developing these statements in more sophisticated ways, they had taken a big step here. They were also energized by the thinking they had done and eager to continue discussing the gender issues they now saw in the story, which is the authentic reading reason to think about theme: because it can extend, affirm, challenge or deepen our understanding of ourselves and others. When it comes to teaching theme then, rather than asking students to match a text to an abstract noun or saying that too often doesn’t capture the richness or nuance of an author’s take, we might better ask students to linger longer in the details and the elements of the story, not to simply identify them, but to develop ideas and interpretations about how and why they interact and change and develop over time. From there, it’s a relatively easy move to zoom out from the specifics of the story to a generalization about human behavior, as the fourth graders did. But it means that we have to have a deeper and more nuanced understand of theme, one that acknowledges how it’s embedded in and arrived at through the details of the text. And we need to share that with our students, as well, so that they’re not lost in the woods. Last month I bemoaned New York City’s decision to encourage schools to adopt highly scripted reading programs in the lower and middle school grades in order to meet the Standards. And in addition to the various reasons I cited then—texts that seem inappropriate for students’ grade level, questions and prompts that seem too much like test-prep—there’s another reason I’m wary. Potential problems are bound to arise anytime we ask a group of diverse readers to all read the same text, and every program the City is recommending requires students to read common texts that often seem beyond even the high end of a given grade’s complexity band. The question then is how do we help so-called struggling readers, whether they’re English language learners, children with special needs, or just students who, for a whole host of reasons, may not be where someone thinks they should be. The programs’ answer to this question seems to be that teachers should just keep guiding and prompting until the students somehow get it, falling back when needed on think alouds which, in the guise of modeling how to think, too often tell students what to think. To get a feel for the level of prompting, let’s look at a sample from one of the programs recommended for middle school students, Scholastic’s Codex, which is being adapted from their Read 180 program. One of the whole class texts for their 6th grade unit on “Coming to America” is a chapter from Firoozeh Dumas‘s memoir Funny in Farsi. Like the 3rd grade text I shared last month from Pearson’s ReadyGen, Funny in Farsi is an interesting text that’s actually intended for an older audience. School Library Journal lists it as being for high school students and adults, but someone, in their obsession with complexity, has now decided to make it 6th grade fare. I know these supports are meant to be scaffolds, but at some point all this guiding, assisting and ensuring that students get what the script says they should can inevitably lead teachers facing blank stares to just tell them what they ‘ought’ to know. And where’s the critical thinking in that? Where’s the independence? And how does this level of scaffolding jive with how forcefully David Coleman, the chief architect of the Standards, has come down on practices that allow students to access the text without actually reading it? Of course, students are supposed to be reading along silently as the teacher reads the passage out loud. And with struggling students, the teacher is encouraged to use an oral cloze routine, whereby students call out words the teacher doesn’t read aloud to see if they’re following. But all this scaffolding sounds suspiciously like spoon-feeding to me, with teachers overly directing students to a pre-ordained answer. 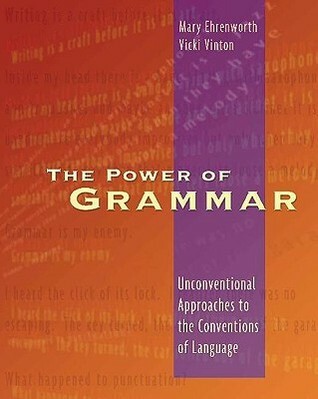 It will, however, increase students’ ability to address the writing task for this text, where they’re given two choices: They can either write an “explanatory paragraph” explaining how people were kind or welcoming to the author’s family or an “opinion paragraph,” in which they state whether they think the author’s response to some of the Americans’ misguided ideas was clever or mean. At this point pretty much all they have to do is plug in the details from the answers to the questions they’ve been guided, assisted and helped in finding. There’s really no synthesis required here, no need to consider the author’s message or theme, which might entail wrestling with the seeming contradiction between the author’s affection for Americans and her annoyance with their ignorance. Digging deeper isn’t on the agenda, though that’s precisely the kind of thinking college students have to do with none of the scaffolding, prompting and sentence starters that they’re given here. And all of this brings up an additional problem. Like the New York State ELA exam, this Scholastic example seems based on an incredibly narrow interpretation of the Standards, where more emphasis is placed on the skill of citing textual evidence to support an idea expressed in a prompt than on developing an idea about the text in the first place. Additionally the questions are either straightforward comprehension questions (like Q1 above), which don’t ask for higher order thinking, or they focus on small matters of craft (like Q2) that have been divorced from the greater meaning of the piece or the unit’s theme. What makes more sense to me—and addresses both these problems—is letting struggling students engage with the unit’s theme through a text that’s easier to access, like Eve Bunting‘s wonderful One Green Apple. The book tells the story of an immigrant girl from Pakistan named Farah, who’s struggling to find a place for herself in a new and not always welcoming country—and with a Lexile level of 450, it puts far fewer word and sentence demands on a reader than Funny in Farsi does. But it conveys its ideas about the unit’s theme in subtle and complex ways, with the green apple acting as a symbol for the main character’s journey from isolation to belonging, and with many details exploring the ways in which people are different and the same. If we invite students to simply wonder, rather than march them through a series of questions, they’re inevitably curious about the apple from the title and the cover. And because they’re curious, they pay close attention to the page where the green apple finally appears, with many students able to infer why she chose that particular one by making the connection between Farah and the apple. I like to call this the “Simple Text, Complex Task” approach, which invites students to engage in complex thinking with a text that’s relatively accessible. If we felt compelled to, we could afterwards step students up to a text like Funny in Farsi, where, with One Green Apple under their belt, they’d be better positioned to compare Firoozeh’s experience to Farah’s. Or better yet, we could take a smaller step with something like the first half-dozen poems from Katherine Applegate‘s marvelous Home of the Brave, which, at a fourth grade reading level and without picture supports, tells the story of an African refugee transplanted to Minnesota in beautiful and complex ways. This would mean, though, putting meaning ahead of skills and students ahead of complexity bands. It would also mean putting teachers ahead of programs, which is where the decision-making belongs for all the obvious reasons.